Hari Raya is a festive season for everyone, but the process of preparing for it can be a hassle, especially for busy mothers. 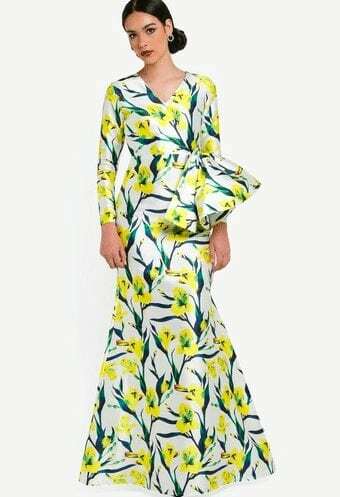 Thankfully, Hari Raya decorations do not have to be expensive or time-consuming, especially with the few ideas that Shopback Malaysia has included below. Get your kids (or your colleagues at the office) to help with decorating their home / office for the season too! 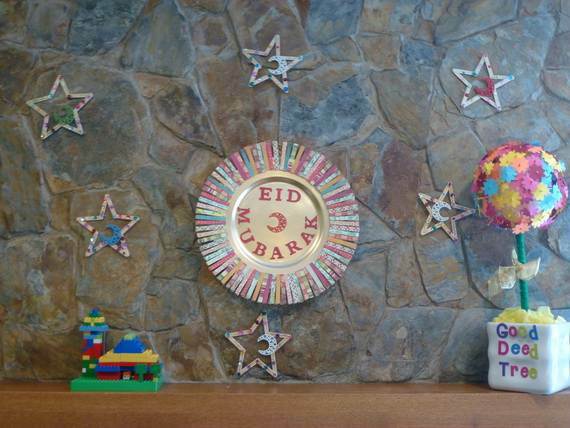 Stick adhesive letters onto the middle of the plastic plate to for the words ‘Eid Mubarak’. Use paint or coloured markers to decorate wooden clothe pegs (if you are short on time, you can just buy coloured wooden clothe pegs so you do not have to decorate them). 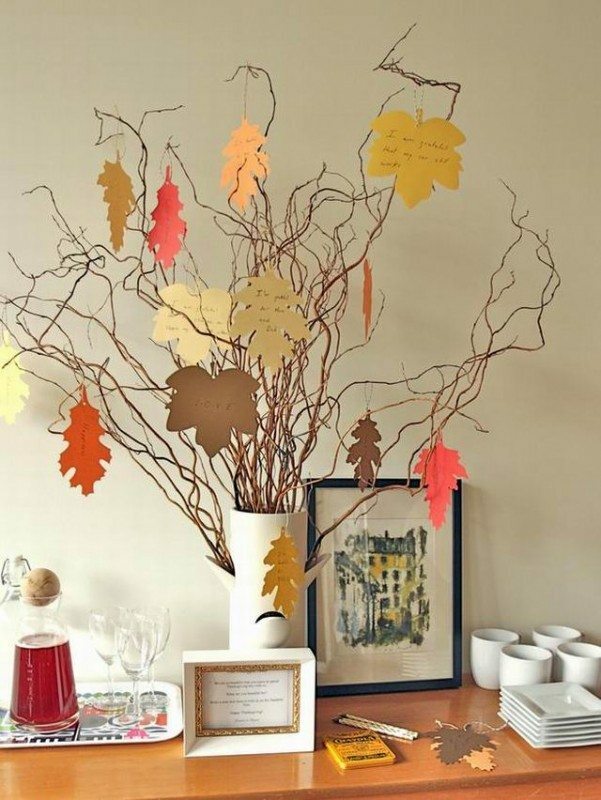 Get the children to participate in the decoration process to save time. Clip the wooden clothe pegs around the plastic plate. Try to leave as little gaps between the clothe pegs as possible. 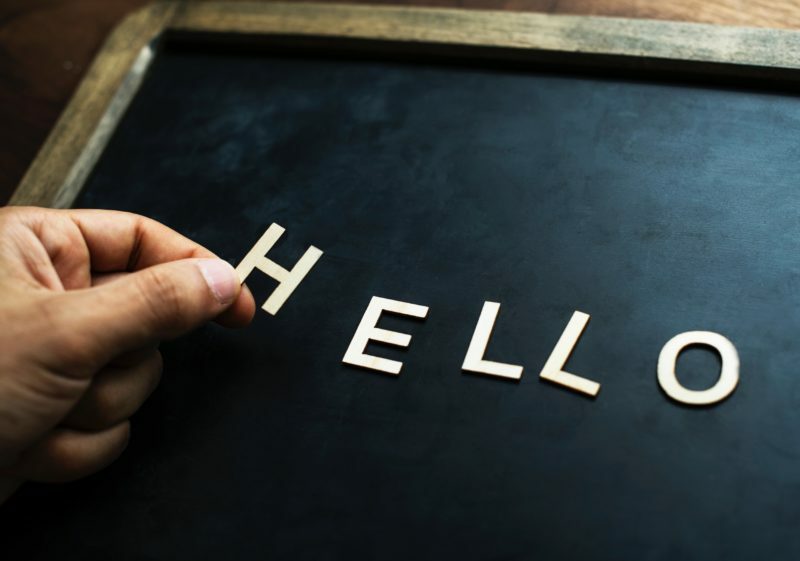 Stick the welcome sign on the door, or on a wall near the entrance of the home. Draw out the shapes of stars, moons and clouds of different sizes on the coloured paper (you may use a stencil to help you if you want standardized shapes). 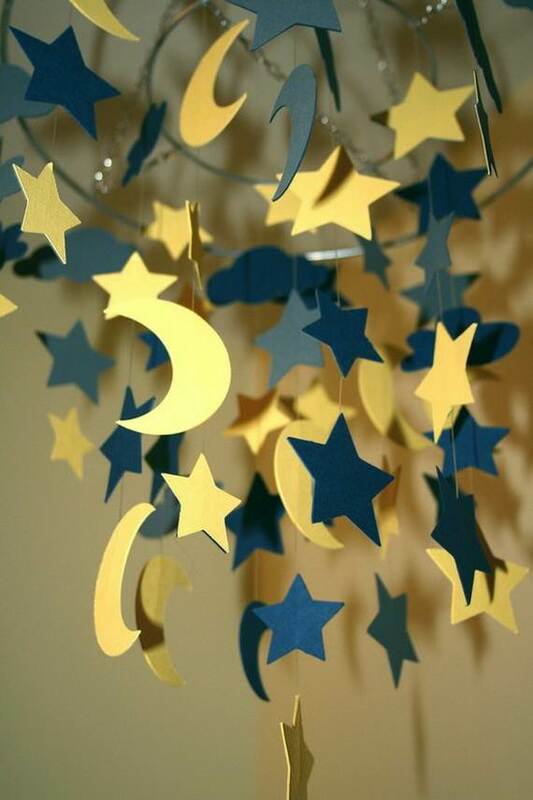 Cut out the shapes of the stars, moons and clouds. Optional: To make your decorations pop more, add glitter glue to some of the cut-outs. Use the needle to poke a hole on the top and bottom end of each cut-out each. Thread the twine rope through the holes of the cut-outs (tip: for a nicer effect, alternate the cut-outs with glitter and the ones without on each rope). About three to four cut-outs per garland would be good. Make sure that the space between each cut-out is roughly even. Secure the cut-outs by pasting the scotch-tape on the back of each cut-out, where the twine rope passes through the holes. 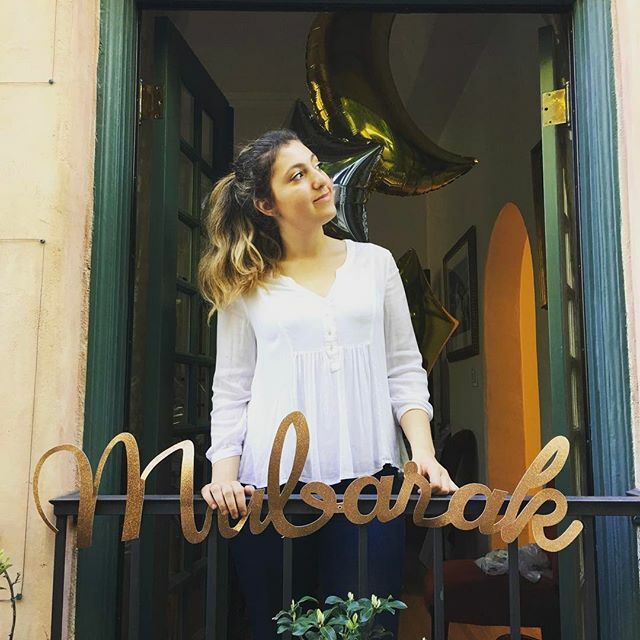 Hang the completed Ramadan garlands from the ceiling or from the top of a door frame. Cut out the printouts of the numbers into circles, just slightly bigger than the cross-section of the toilet rolls. Line the cross-section of one side of a toilet roll with super glue, before sticking the printout of a number to the cross-section. Fold the edges of the printout against the toilet roll. Stack the toilet rolls according to the order of the numbers together into a rectangular formation. Use super glue to make sure the toilet rolls stay in place. Fashion the cardboard into a roof, before securing it on top of the rectangular block of toilet rolls with super glue. Make a slanted cut on the remaining toilet roll so that it fits onto the top of the cardboard roof. Then, stick that toilet roll onto the top of the cardboard roof with super glue to form the chimney. Stuff toilet roll into the chimney to create the effect of smoke. 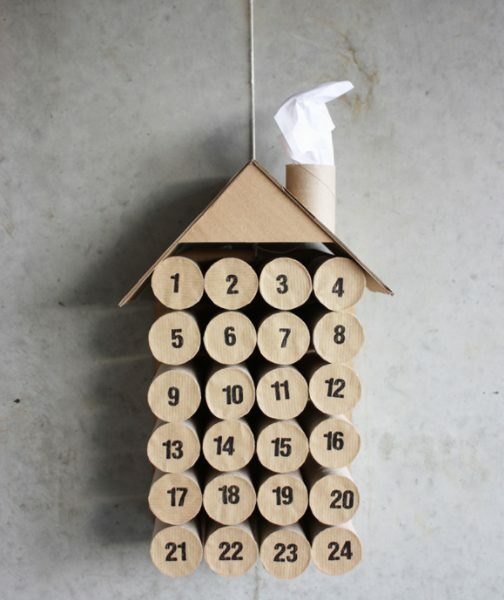 Place the completed calendar in a spot visible to the whole family, so the children can have fun poking into holes into the toilet rolls for the days that have passed. Fold each piece of paper in half, long side to long side. Unfold the paper and roll it so the two longer sides meet to form the shape of a lantern. Fasten the lantern in place using scotch tape. Use a thin strip of paper to make a handle for the lantern and attach it with scotch tape. 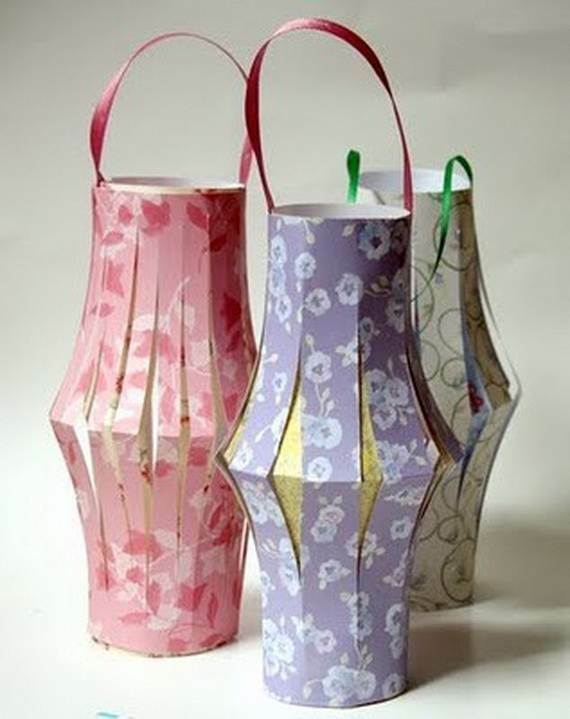 Place an electric tea light in each of the completed lanterns to make them shine. 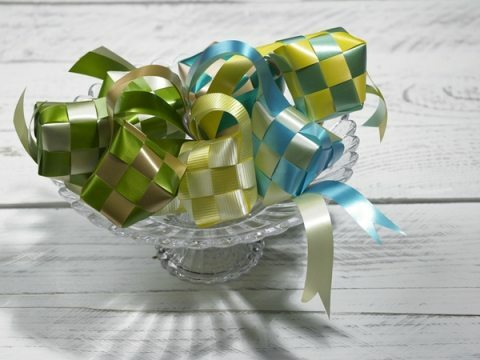 Tie the ribbon around the flower pot or vase. Cut the coloured paper into small cards. Poke a small hole on the top of each card with the needle and thread a small piece of twine through the hole. Tie the twine into a knot such that there is a hoop attached to each small card. The tree of good deeds will be completed slowly over the Ramadan season: each time someone in the family does a good deed, he or she will write the deed down on the card and hang the card on a ‘branch’ of the tree. The aim is to fill the tree up by Hari Raya. Fill the Mason jar with goodies (e.g. 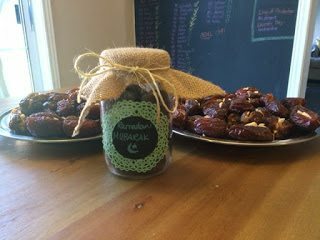 dates, candies, cookies). Cut burlap large enough to cover mouth of lid. Write Ramadan greeting message on doiley, then spread the back of doiley with glue. Center doiley onto Mason jar. Secure burlap square with rubber band around mouth of jar. Measure and cut twine to fit around mouth of jar, before wrapping it around the mouth of the jar and tying a knot. Give the completed goodie jar to friends and relatives as a Ramadan favour, or use as decoration in the living room and offer the goodies to visit guests on Hari Raya. Weave the leaf on your right hand into the one on your left in an alternating fashion. Keep holding on to the leaves as you do this. 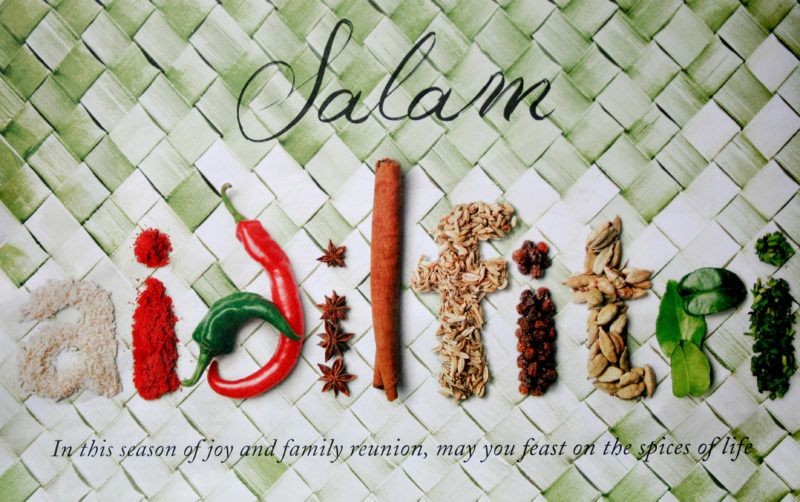 Turn the ketupat around. Repeat the previous step of going up and to the left. (i.e. weave along the other two sides of the ketupat) The narrow ends should now be at the same corner. Repeat with the other wide end. (i.e. weave along the other one side) The wide ends should now be at the same corner, opposite from the corner with the narrow ends. Neaten the ketupat. Start by folding a small corner of the wide end and tucking it like a hook into the corner. Carefully tug the leaf along its path. Do the same with the other wide end of the leaf – fold the end and hide it under a weave and tug it gently along its path. You will have to do this several times for both leaves. Put up the blackboard somewhere around your house! 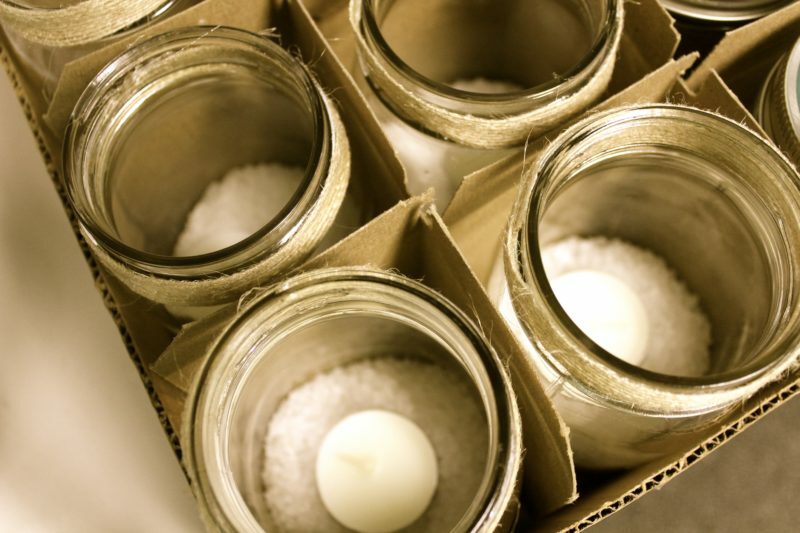 Light candle and place it in your new Wool Candle Jar! 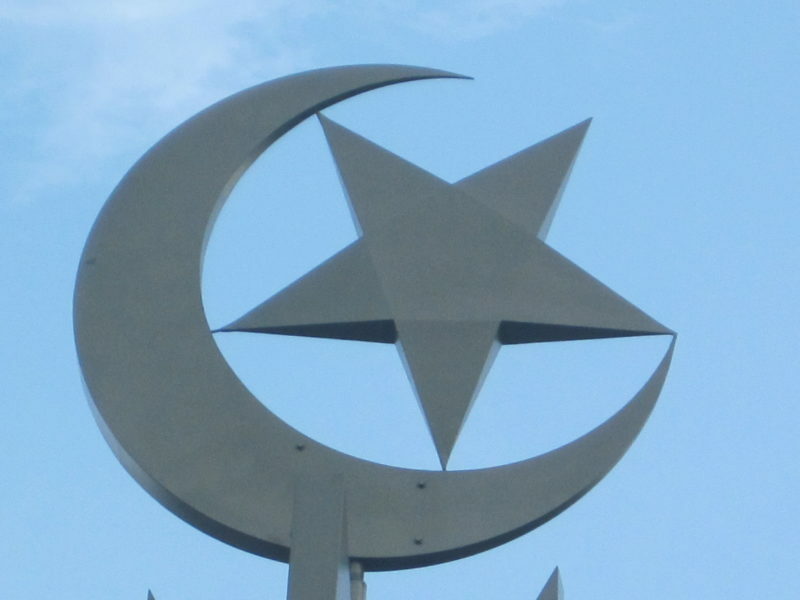 Hang your Star and Crescent somewhere around your house! DIY Your Raya Decorations in 2018! 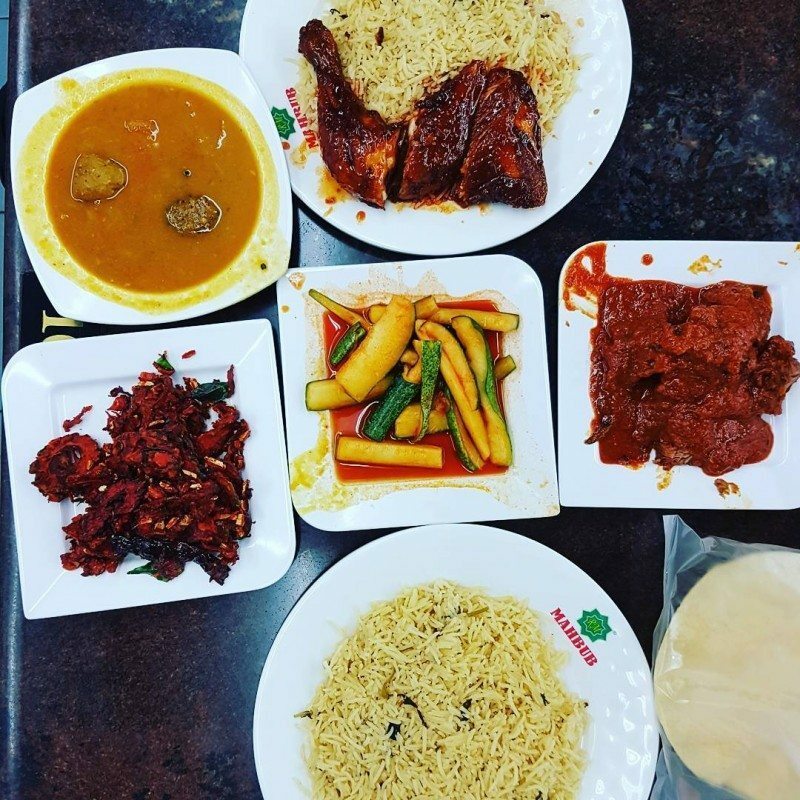 Preparing for Hari Raya does not have to be tedious and costly as it has always been. This year, breeze through Hari Raya decorations with these easy ideas, and get the whole family involved to save more time and have lots more fun! 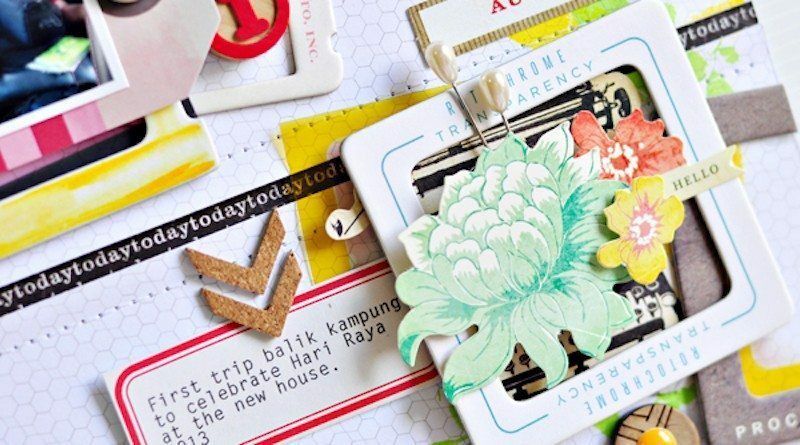 You could even make these Hari Raya Decorations for the office to liven up your office space. The possibilities are endless. 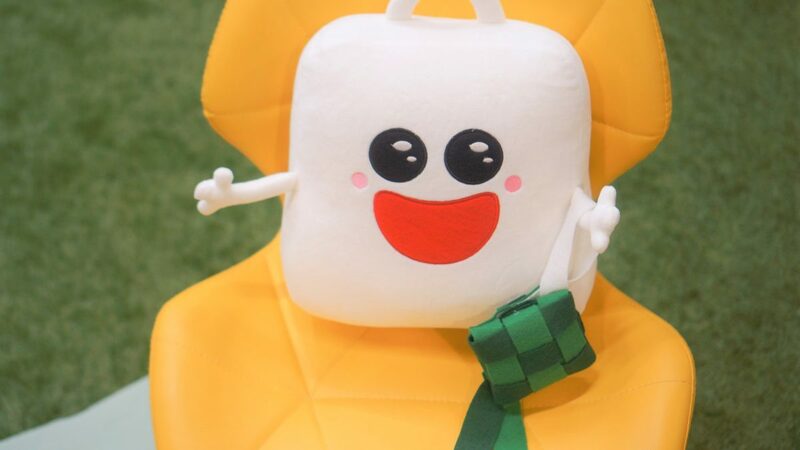 So stop asking yourself “how to make ketupat” or what Hari Raya backdrop you should use, and get crafting! 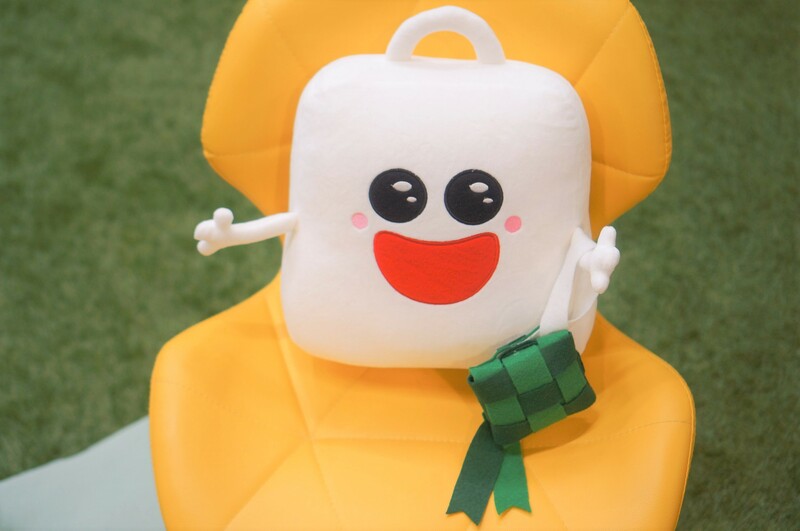 Some of these resources can be purchased at a marked-down price when you use Taobao coupons and Qoo10 promo codes at their respective online stores.